NEW DELHI, India, May 20, 2013 (ENS) – India’s Ministry of Environment and Forests has decided to forbid the keeping of captive dolphins for public entertainment anywhere in the country. 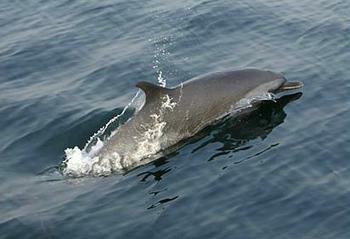 Noting that India’s national aquatic animal, the Ganges River dolphin, as well as the snubfin dolphin are listed in Schedule-I and all cetacean species are listed in Schedule II part I of the Wild Life (Protection) Act, 1972, the ministry said it is important to protect these endangered species from captivity and exploitation. 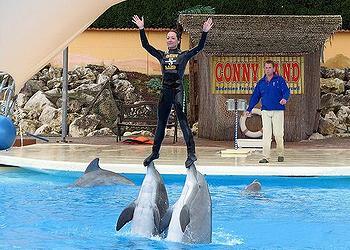 “Whereas cetaceans in general are highly intelligent and sensitive, and various scientists who have researched dolphin behavior have suggested that the unusually high intelligence; as compared to other animals means that dolphin should be seen as ‘non-human persons’ and as such should have their own specific rights and is morally unacceptable to keep them captive for entertainment purpose,” the ministry said. The grassroots Federation of Indian Animal Protection Organization, FIAPO, was pleased with the decision. This group took the lead in campaigning to ban dolphinaria in India, meeting with key ministry officials and garnering local grassroots support. “India has become a beacon of hope for the global movement to protect cetaceans from captivity, and we thank Minister Jayanthi Natarajan for setting the benchmark in animal protection for the world,” Mitra said. FIAPO has been working with their partners Born Free Foundation, Global Green Grants Fund, Earth Island Institute’s Dolphin Project and Wildlife Rescue and Rehabilitation to bring about this prohibition in India for the past year. Ric O’Barry, a former dolphin trainer who now serves as director of the U.S.-based Earth Island Institute’s Dolphin Project, applauded India’s new policy.